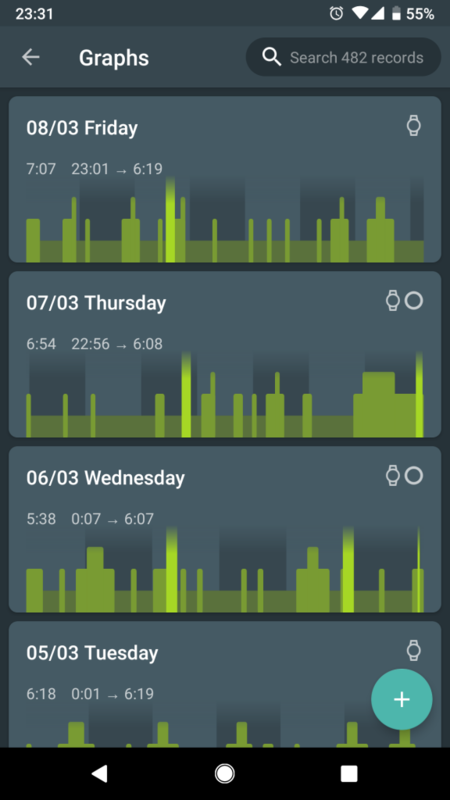 Sleep-tracking is something I am doing for a while. 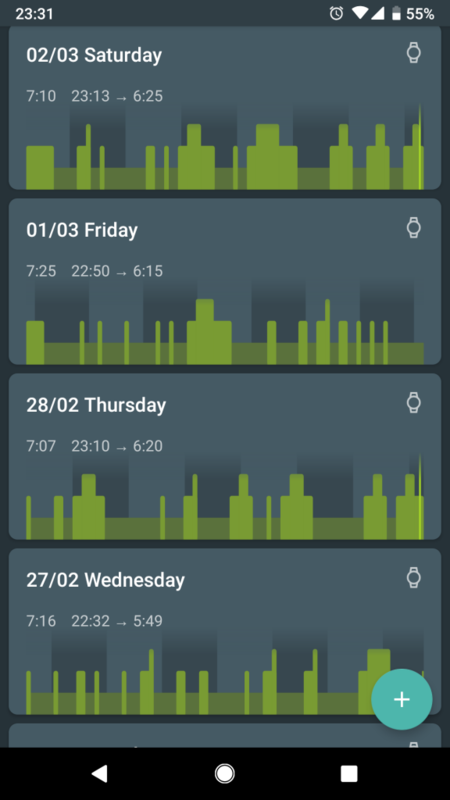 Together with my Xiaomi Mi Band 3, Sleep as Android tracks my sleep cycles pretty accurately I think. A recent update gives even better results for REM sleep. Now during the last few weeks my work got a lot more stressful. I don’t want to go into too much of a detail about it. It’s just loads more work. And this new workload did impact my sleep quite a bit which also is visible in the sleep tracking! Here some records that are only a week apart. You can see on the left how much less deep sleep (the lowest dark green area) there is compared to light and REM-sleep which is dream inducing. On the right however a lot more deep sleep because I needed that sleep to recover from the hard work days. Also on the right, I woke up every day in the middle of the night (the light bar). I didn’t have trouble falling back asleep, but it obviously didn’t help the recovering. By the way I am mentioning REM-sleep because that week there on the left, I did dream SO MUCH STUFF it was amazing D: Lots of crazy and amazing things sure, but so vivid and detailed! I still remember it even two weeks later! But what I did dream last week got erased off my memory really quickly. The dreams were also a lot less vivid and often of a sad nature. What is this for? Well I personally really like sleep tracking as it shows me very clearly if something’s wrong. This time I knew before I checked these logs but other times it might be something unconscious that’s bugging me. But now the flu is almost gone and I can show you some pictures and tell you some stories about it. Firstly of course I have to show some pics from Paris itself as I was travelling through it on Friday prior to the FanFest. Landed safe in #Paris for the #FFXIVFanFest2019 that starts tomorrow! 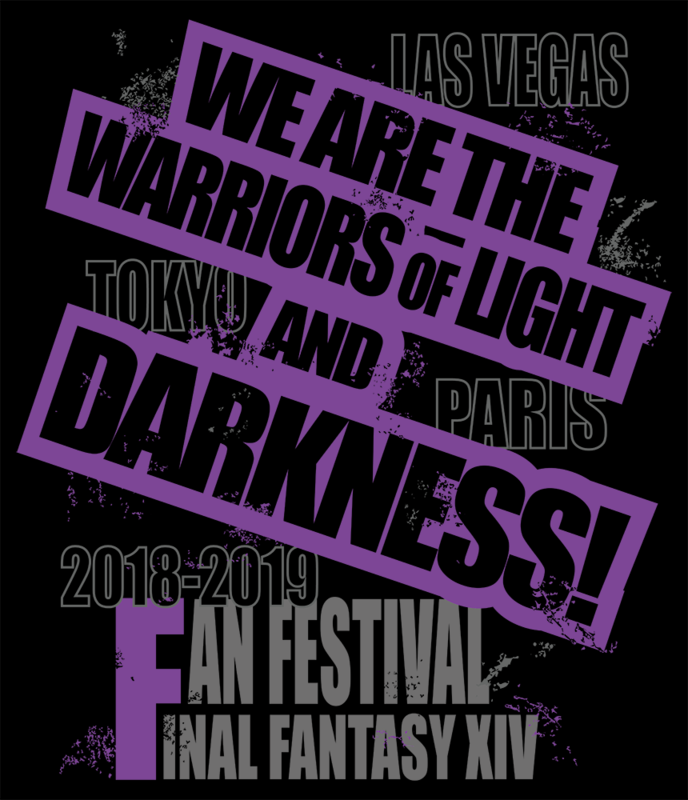 On the weekend of 2nd and 3rd of February, the European FINAL FANTASY XIV FanFestival will be held in Paris and obviously I had to get tickets as well. 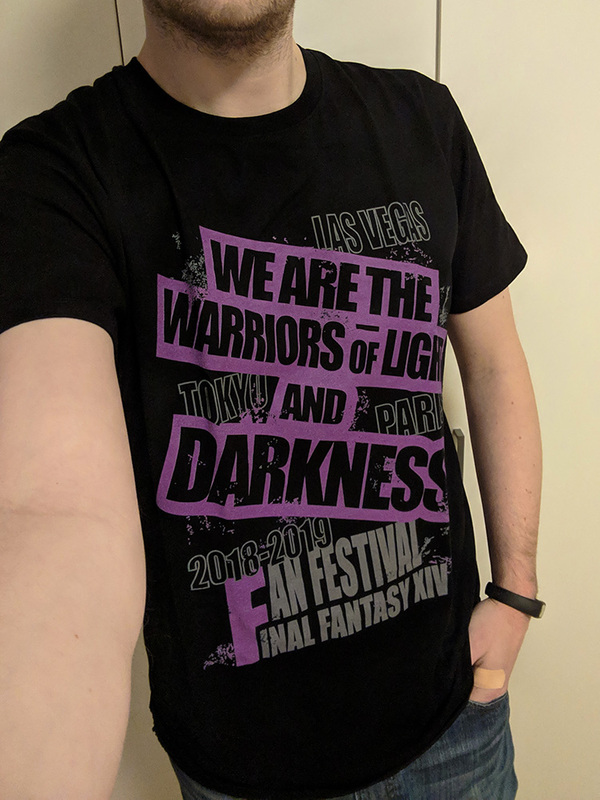 The merch for this FanFest had to be ordered back in November/December 2018 (and I’m still waiting on it by the way). 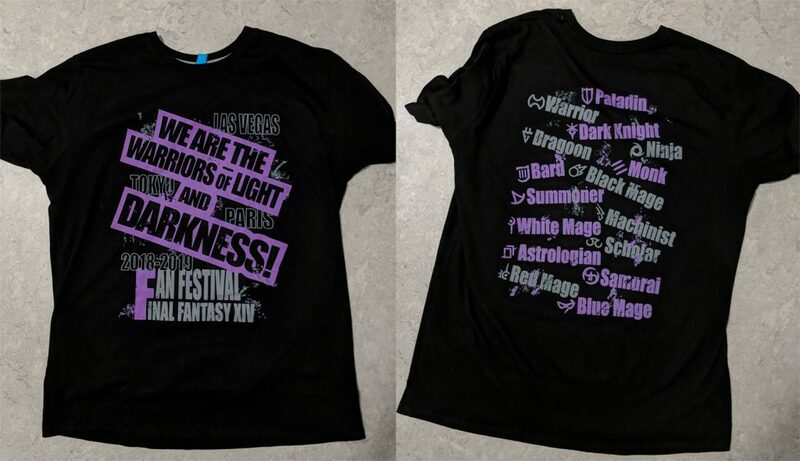 This shirt shows all the places this turn’s FanFestivals will be or are being held and it basically leads us into the new expansion Shadowbringers. 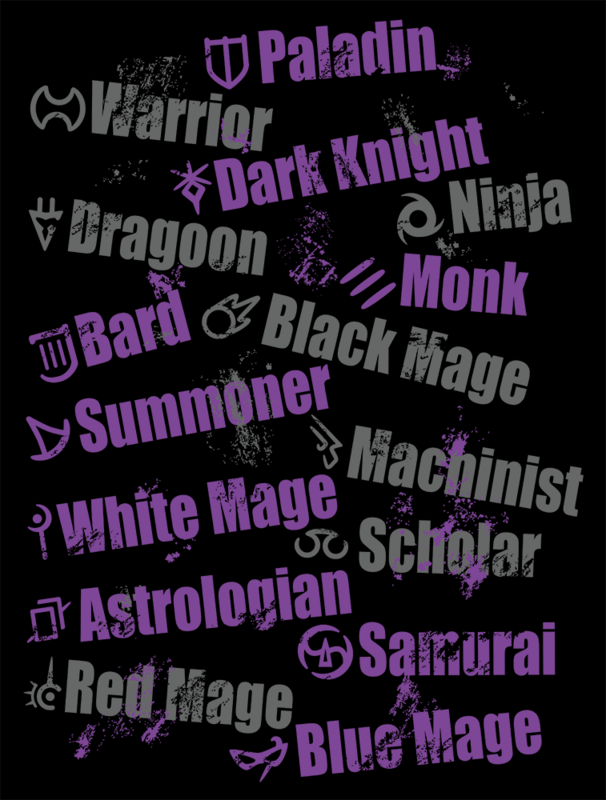 Also it features the new job blue mage on the back, basically completes all the jobs we have in Stormblood. And this shirt was not available for us here in Europe. After my anger calmed down a bit I looked closer and thought that this shirt actually doesn’t look too complicated to make it my own…. It took the whole weekend but I’m happy with the result! Sure, my designs here are NOT 100% the same! For example all the grunge textures are different as I didn’t have the exact textures available SQEX used for theirs. Also the font used is only somewhat close. If you reallllllly zoom in, you can see differences. But to me it’s close enough. The colour is also optimised for the shop I usually print my shirts. 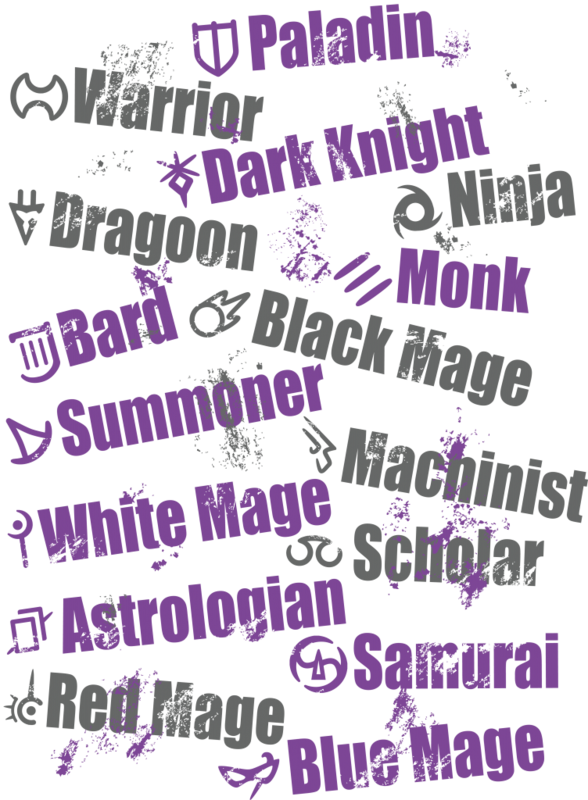 One thing I did change on purpose is that my front side has “the whole text box” and isn’t cut at the top/ left/right. I just think it looks a lot better. Also the printing company where I usually print my shirts allows me to print a slightly larger area than what the official print would cover and it would be a waste not to go all out! 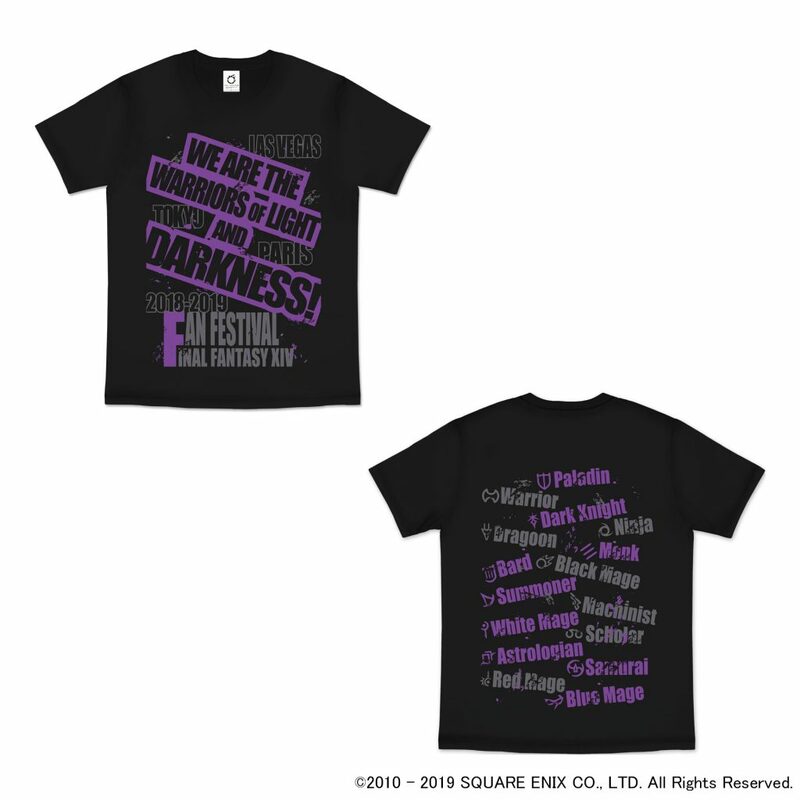 So yea, this shirt replica is being printed right now and I hope it will arrive before the FanFestival. I wonder how many people will notice that it’s not the “real deal”. 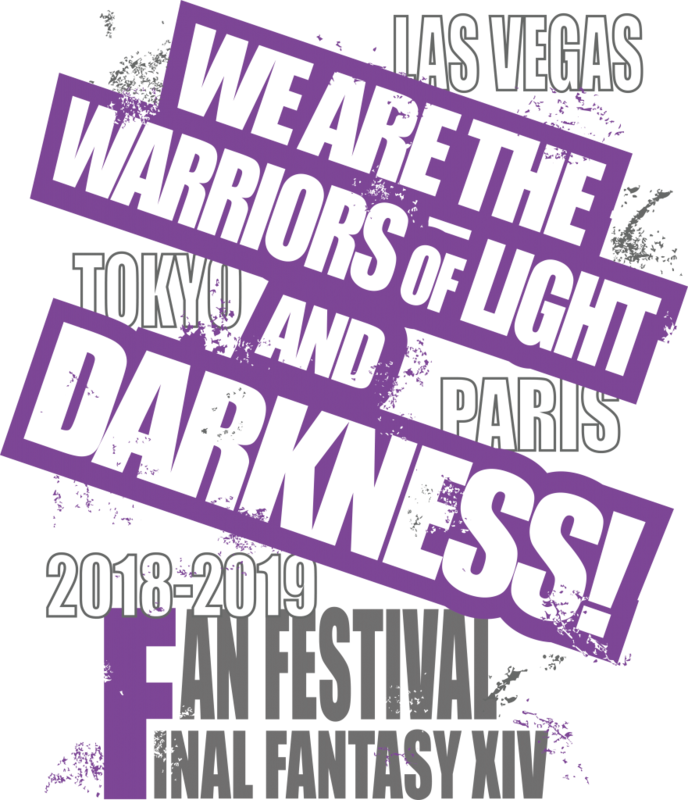 Author MiingnoPosted on 21st January 2019 24th January 2019 Categories FINAL FANTASY XIV1 Comment on We are the Warriors of Light and Darkness! There are none and let me explain why. Setting resolutions starting at the first of the new year is something that I don’t like to do. In fact I don’t like to say “I start this next week” or “I start this next month” or similar. To me, if you want to change your habits, why wait until day X to start? Why not start right away? Delaying a habit change to a later date already proves to me, that you don’t want to change your habits. However if it’s something that is depended on the calendar cycle and doesn’t involve a change oh habit, then I’m totally fine with a “resolution” or similar. Therefore I did not set any habit changing resolutions for 2019 starting at the 1st of January. But I did start a very simple journal where I note how my day and night was. Just to see if my health and mental health is doing fine. I didn’t have that idea myself but got it from this tweet here. I’ll post my calendar in a few days when I have some data on it already and will also show what I did for “night” tracking. And I did start to do some more exercises, but not on the 1st of January. I did start this already earlier because I thought “Hey, let’s start now”. And I also started to eat a bit “healthier”, not on the 1st but earlier as well. With the new Shonen Jump from VIZ, a lot of people asked for some sort of calendar or schedule list that would show them when all the WSJ manga would be released. However what I needed was something that I could add to my calendar and see it alongside my other important appointments. That’s why I made this ICS Calendar you can easily download or subscribe to with your favourite service! The entries are still very basic. The calendar currently updates every 12 hours with the list from the viz website. It surely will need some more tweaking until it works perfectly. I’m thinking about the new year change that probably will mess with the entries and such XD So sorry in advance! And if you have a suggestion what else I shall add into this calendar, then let me know in the comments below! As you may noticed, I did change the look of the website a little. There was an unused theme laying around on my hard drive that I payed money for (yes that happened) and I thought let’s install it! It’s not yet fully finished. There are still things I don’t like how they look right now, but the theme is very very adjustable and I’ll keep adjusting until I’m satisfied. 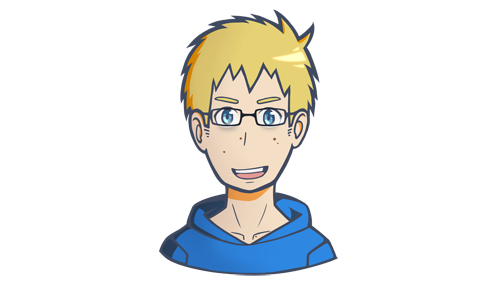 Something I was trying out lately, reaction “icons” with my actual face!! Update – WordPress 5.0 and new Theme on the way! Too much about this theme doesn’t work yet or is just horrible! What were the makers thinking when they created it?! Oh well, gotta test out all the other nice new stuff now! You probably have heard that tumblr is about to lock away a lot of content and that multiple blogger are looking for alternatives. You didn’t get that many updates from me lately because for a long time, I could not reach my websites anymore or they ran with really poor performance. It was not the first time that happened. Constantly since about a year I was struggling with my websites. I was even paying more for a bit stronger servers, yet the software on the servers seemed to be too old and full of bugs. Now I had enough and I’m now slowly transferring all my websites to a new hoster. So far, the ones that are on the new place are working without problem and I’m looking forward to the day when I can cancel the old hosting service.